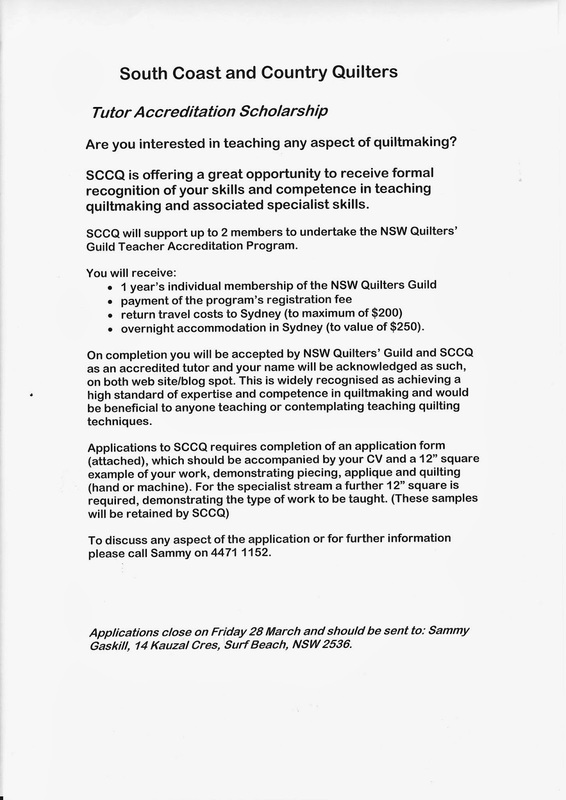 SCCQ Guild have sent the following information which is open to all SCCQ Guild members, this includes all RedBerry Quilters members. If you are interested, the application form is available by clicking on the following link Application Form Link . Please note the closing date is 28 March 2014.